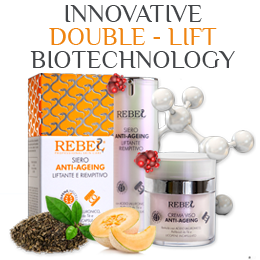 Anti-Ageing Serum with lifting and filling action. 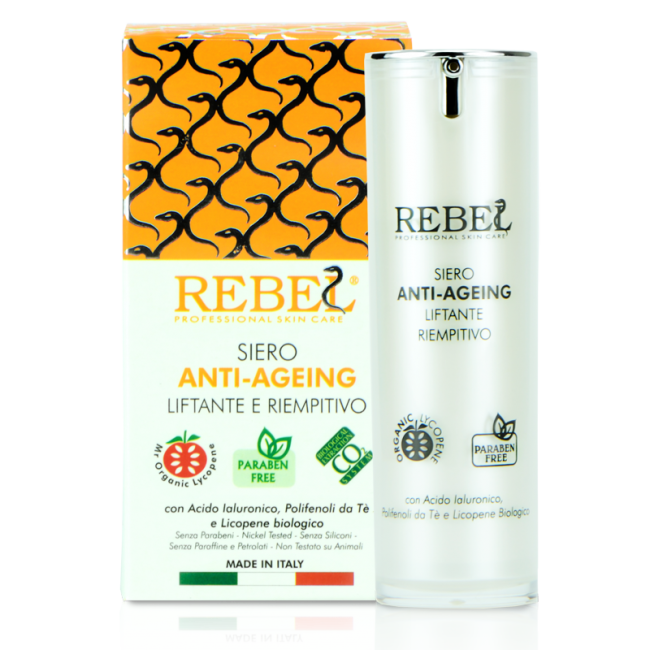 It revitalizes and relaxes the skin with shock effect, 30 ml Airless Bottle. Rebel Serum Anti-Ageing is rich in vegetable active ingredients with antioxidant and hydrating properties, highly effective and quickly absorbed by the skin; it targets the causes of skin ageing directly, working at cellular level where the skin needs it the most. 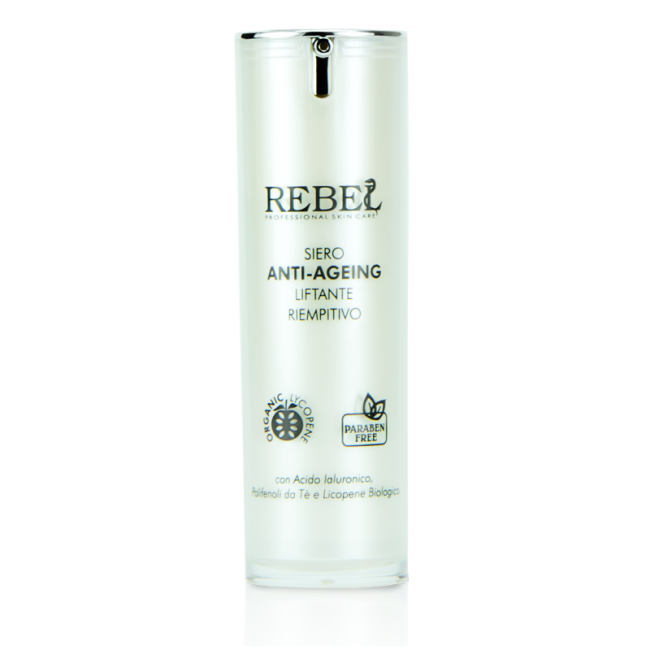 Rebel Serum Anti-Ageing revitalises and restructures the facial skin by renewing and relaxing it with instant and continuous lifting. 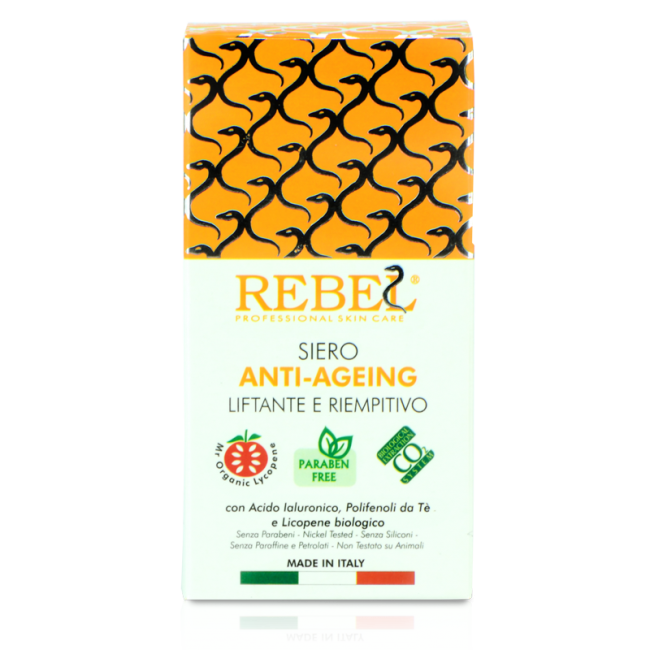 Recommended for particularly mature normal, combination and oily skin types. 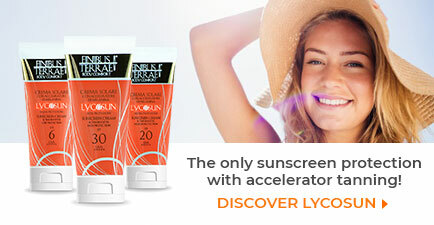 Thanks to Lycopene micro-encapsulated in vegetable ceramides, it brings effective anti-radical, skin reparative and protective properties against the damaging effects of UVA/UVB rays. 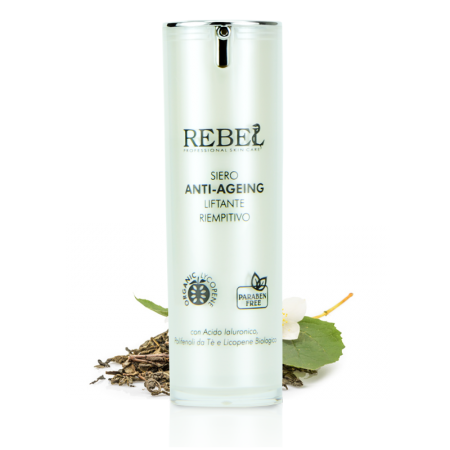 The exclusive Airless Serum supply system keeps the product’s antioxidant properties intact, protecting it from recurring contact with air. 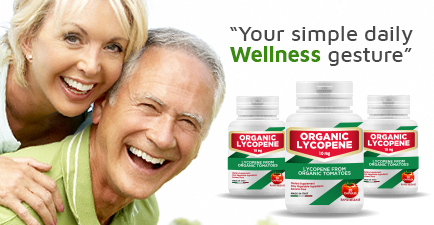 With Hyaluronic Acid, Tea Polyphenols, Vegetable Surfactants, Vitamin A & E.